This tool is my take on the long standing pattern design that originated in Japan centuries ago. 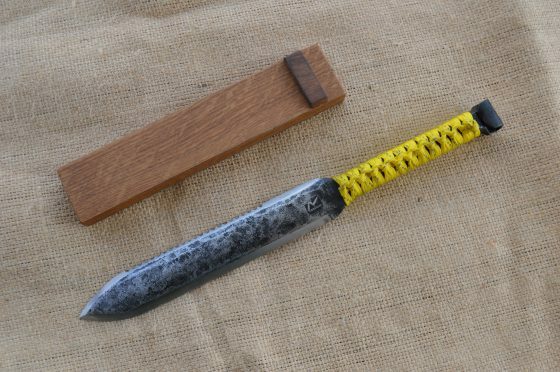 Hand forged from reclaimed automotive coil spring and finished with a paracord-wrapped handle, the blades are oil quenched and tempered to make for a very durable, sharp and tough hand tool. 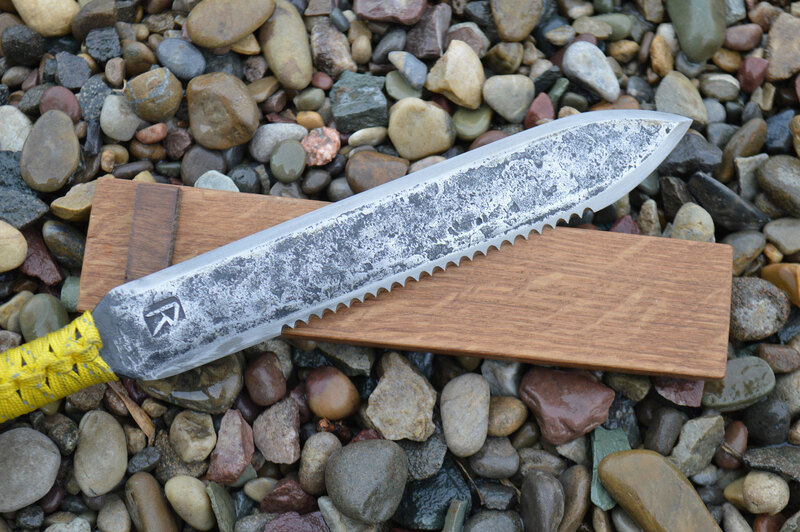 The edges are single bevel, and one edge is serrated to ease cutting of woodier materials. The paracord material comes in many different colours; bright colours prevent losing the hori hori in the garden or food forest. The hori hori in the pictures is wrapped with black cord embedded with reflective material. The overall length is approximately 14″, and the blade is roughly 8″ of that length, enabling deep digging when necessary. This is an excellent tool for handling dandelions and other deep-rooted perennial weeds. A hole is forged at the end of the handle for ease of storage; simply hang it up in your shed or garage. The hori hori (hori is the Japanese onomatopoeia of the sound of digging) is a hand tool of Japanese design. It’s believed the design came from the need to harvest wild vegetables from the mountainous regions of the country. The flat shape of the sharpened blade allowed foragers to efficiently harvest by digging deep and slicing through plant roots and tough vegetation. The hori hori is a multipurpose hand tool, that can saw, cut, and dig. 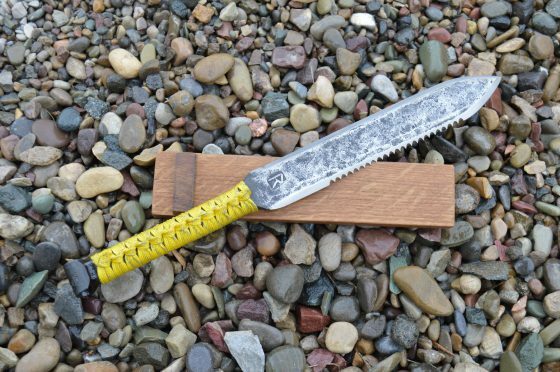 The ingenuity of Japanese farmers from as far as back as the 13th century has resulted in a garden tool that can be used for nearly all the manual work required around the yard. The hori hori (hori is an onomatopoeia of the sound of digging) is a hand tool of Japanese design. It’s believed the design came from the need to harvest wild vegetables from the mountainous regions of the country. 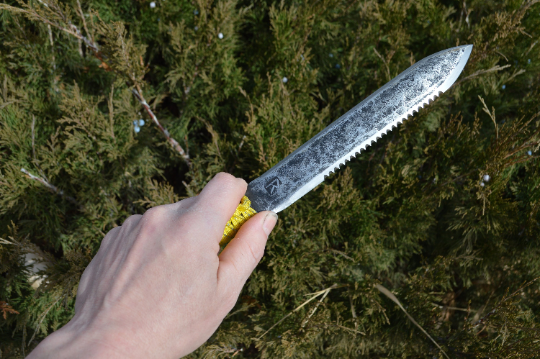 The flat shape of the sharpened blade allowed foragers to efficiently harvest by digging deep and slicing through plant roots and tough vegetation. Why does it look like a weapon? 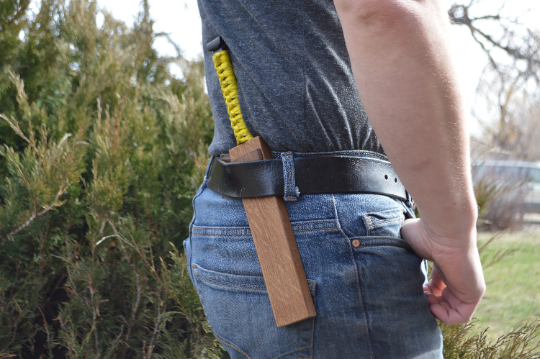 A beautiful, hard wood scabbard is available to keep your hori hori safe and at hand when working in your garden. It’s made from white oak, a material known for its weather resistance. 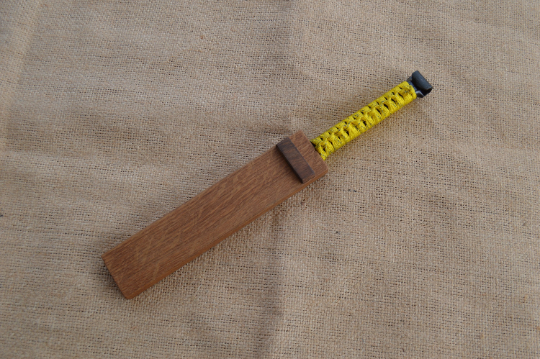 Moisture escapes wooden scabbards and so the knife contained within is less likely to rust. Want a tool like this? Contact us to place an order.